This is the abridged version of 1909 edition, often called the "Little Liddell". Simon Wallenberg has enlarged the typeface for easier reading and except for this improvement the publishers have left the original work intact. A Greek-English Lexicon. is the standard lexicographical work of the Ancient Greek language. Based on the earlier Handwörterbuch der griechischen Sprache by the German lexicographer Franz Passow it has served as the basis for all later lexicographical work on the ancient Greek language. No student of Classical Greek or indeed New Testament Greek could possibly be without this Lexicon. Although it is an abridgement of a larger work, it is by no means incomplete and in some respects is a better option than the larger editions. If you study the New Testament Koine Greek, or study Classical Greek, this book will be invaluable to you. The entries are succinct yet informative, and each entry will tell you how a word has been used in different periods of Greek literature. Therefore, if one word has been employed in different uses in Homeric literature, compared to the New Testament, this Lexicon will let you know. This edition of the Liddell and Scott is a comprehensive lexicon of the classical Greek and remains the best lexicon for the New Testament, as the definitions offered in the Little Liddell are so precise you will rarely find them to be wrong. It was edited by Henry George Liddell and Robert Scott, It is now conventionally referred to as Liddell & Scott. The first editor of the LSJ, Henry George Liddell, was Dean of Christ Church, Oxford, and the father of Alice Liddell, the eponymous Alice of the writings of Lewis Carroll. Liddell and Scott's Greek-English Lexicon by H. G. Liddell; Robert Scott was published by Simon Wallenberg Press in September 2007 and is our 53593rd best seller. 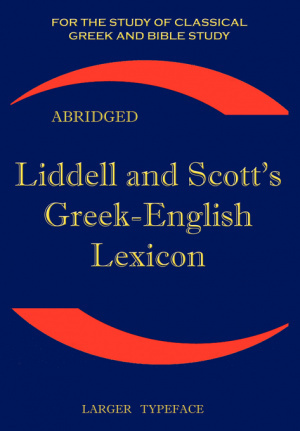 The ISBN for Liddell and Scott's Greek-English Lexicon is 9781843560265. 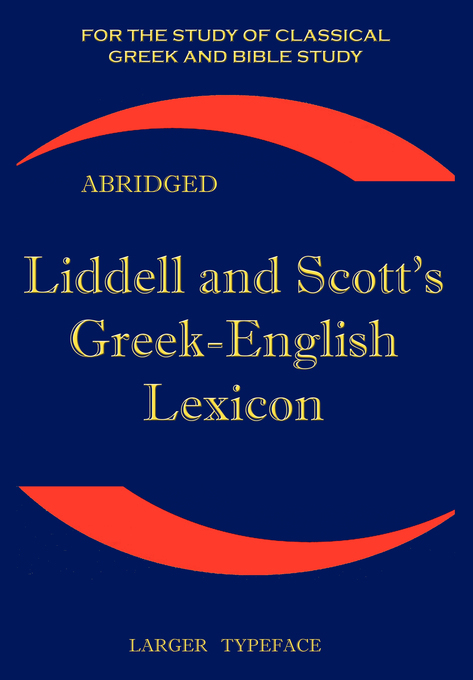 Be the first to review Liddell and Scott's Greek-English Lexicon! Got a question? No problem! Just click here to ask us about Liddell and Scott's Greek-English Lexicon.